Whether you want a complete new look, are attending a wedding or just want a trim - our professional and passionate team look forward to meeting your needs. Our modern salon is equipt to provide the latest techniques and styles. We offer an extensive range of hair and beauty services, all of which you can see on our pricelist page. Our team will go out of their way to make you feel fabulous and give you the cut, colour or updo that you want.
. Unlike other salons, we do not have an add on charge for a cut with a colouring service. 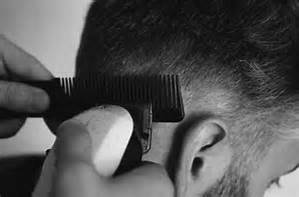 Our experienced team will give you the cut you want at no extra charge! We offer a full range of styling services whether you prefere a soft bouncy blowdry, light and lushous waves or an elegant and glamourous upstyle. We do it all. Visit our gallery to get a look at some of our in salon work. Men's hair is also available and we try to fit you in even if you just happen to 'drop in.' But to avoid disappoint a quick phone call will get you slotted into the appointment book.